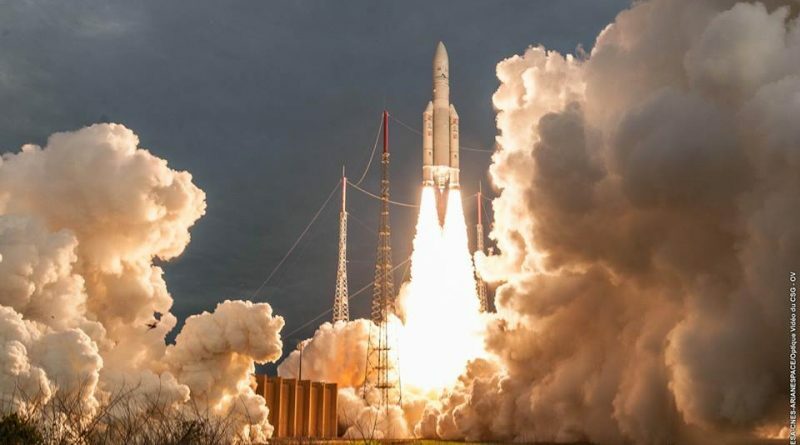 Hauling two heavy satellites into orbit, Europe’s Ariane 5 rocket checked off its fourth successful flight of the year on Wednesday, the 80th success in a row for the workhorse launcher in a streak that has been going since 2002. 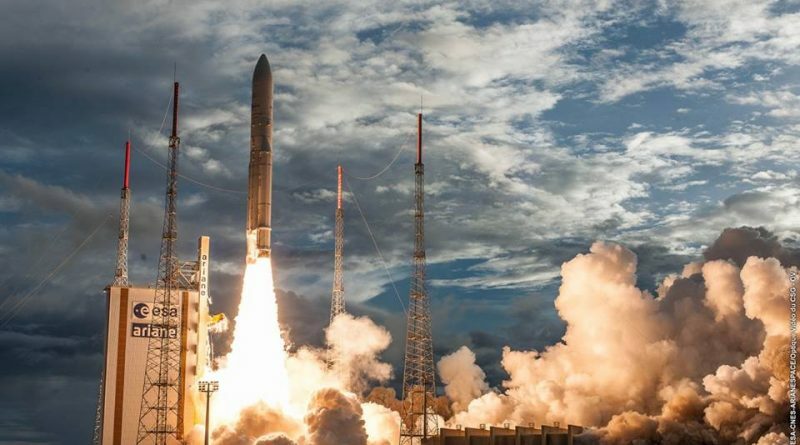 Europe’s Ariane 5 rocket blasted off from the ELA-3 launch pad at the Guiana Space Center at 21:15 UTC on Wednesday, June 28, 2017 on its fourth heavy-lift mission of the year, carrying a pair of communications satellites to Geostationary Transfer Orbit. 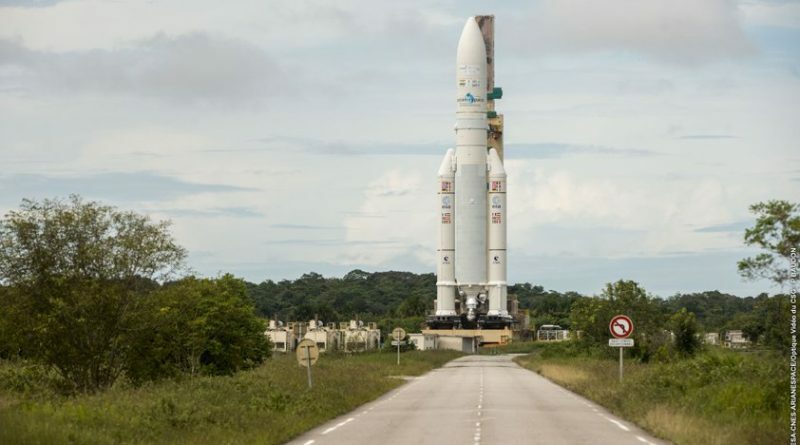 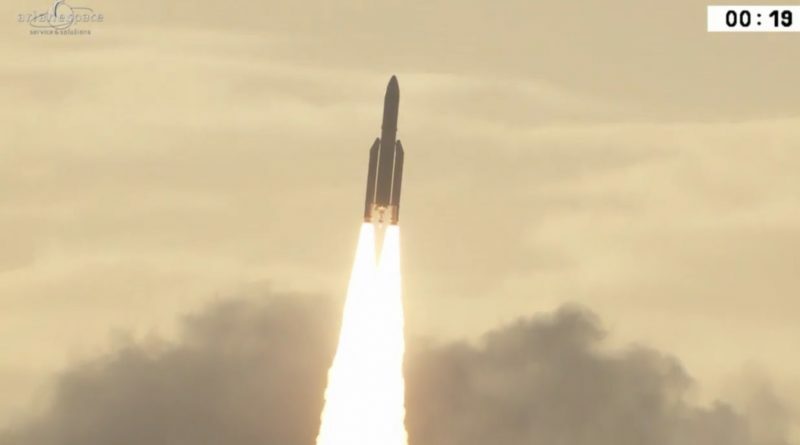 Europe’s Ariane 5 rocket stands ready for liftoff from South America on Wednesday on another heavy haul into Geostationary Transfer Orbit with a pair of satellites for India and commercial operators Inmarsat and Hellas Sat.